The fist dream of the modern times, the Buick Y-Job initiates in 1938 a long line of experimental cars. So we don't revolutionize the way overnight, people from DÃ©troit knew something , they had been witness to the failure burning the Chrysler Airflow though it was ahead of its time and in the era of time. The General Motors can leave Earl place fins on Cadillac and OuÃ¯es on Buick, those cars have the prestige and reserved for a small niche property buyers. Where General Motors must reduce costs of design, it is the cars that are sold on a large scale and are safe bets to bail out the company. Earl must find the means to continually "Stimulating" the creativity of the people of GM while trying to condition the public to appreciate these new concepts. 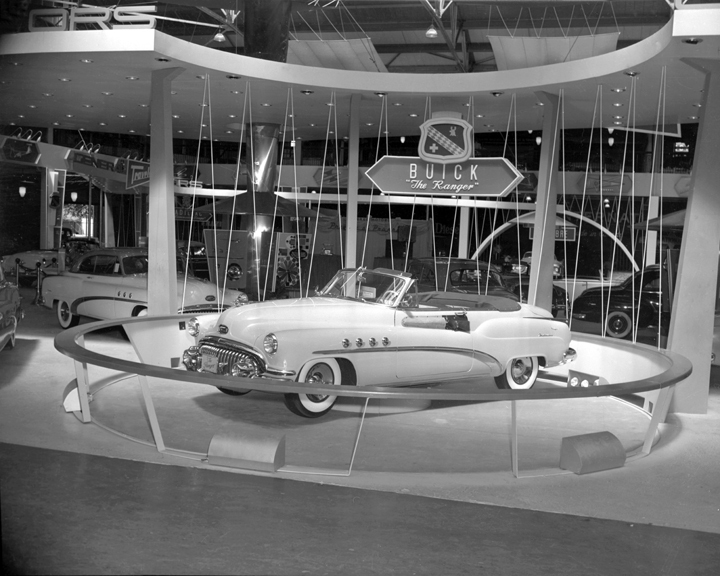 To do this, the best way is still a prototype and is still Buick in 1951 gave the green light to launch a new pilot project. 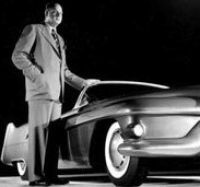 This one-time things a little differently we create two cars are made, the one whose project is headed by Harley Earl, GM vice president of design and the other by Charles Chayne GM vice president for engineering. The LeSabre Earl had born and XP-300 Chayne too. The Two cars share the same mechanical innovations Chayne and also the same innovations Earl style. The main source of inspiration for both still has modern aviation that had entered the "jet age", the futuristic design should be further worked to endure the stress of pure speed. The move design if the airplanes of hight technology are thinner , most profile , cars should invariably be too. The two concepts are introduced Buick "Wrap around windshield," ie, the windshield that eliminates roof pillars to give a wider field of vision and clear. Obviously, this is Cadillac, Buick and Oldsmobile, which will receive the "Wrap-Around" treatment first. Until 1955, these three brands of General Motors set the tone on trends in American automotive industry in terms of style. In 1949 General Motors adds to its range the "Hardtop" which became a standard as the bullet taken "Wrap-Around". 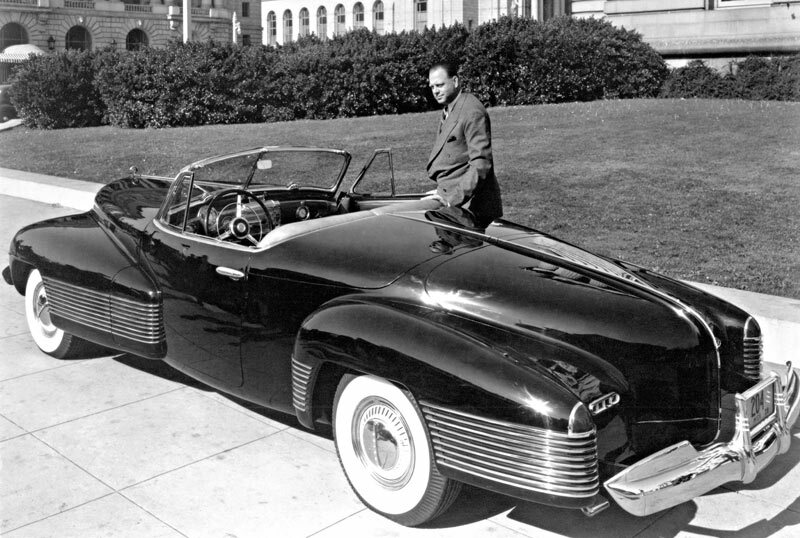 Prototypes LeSabre and XP-300 are as important as the Y-Job concept of 1938. Of course, there is any progress in engineering. General Motors invested massive sums in advertising these two prototypes, posters, magazines. Communication then in full swing. 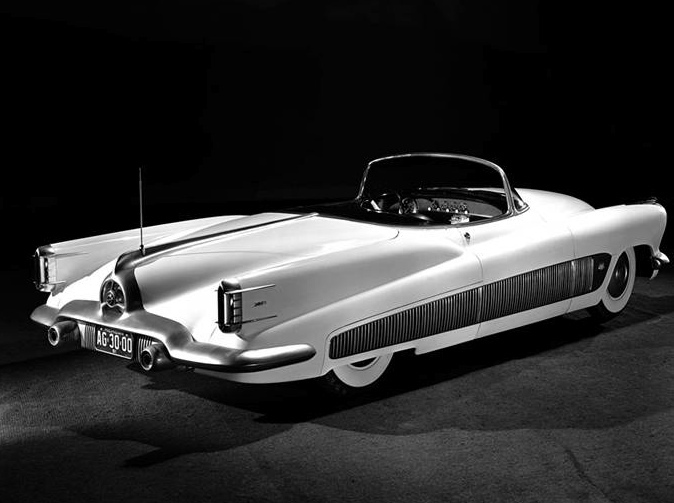 The seepspear Buick appear on cars in 1952, while the "Dagmar" proÃ©minants prototype will make a quiet entrance at Cadillac, rising several centimeters, year after year, before reaching their peak in 1957 . 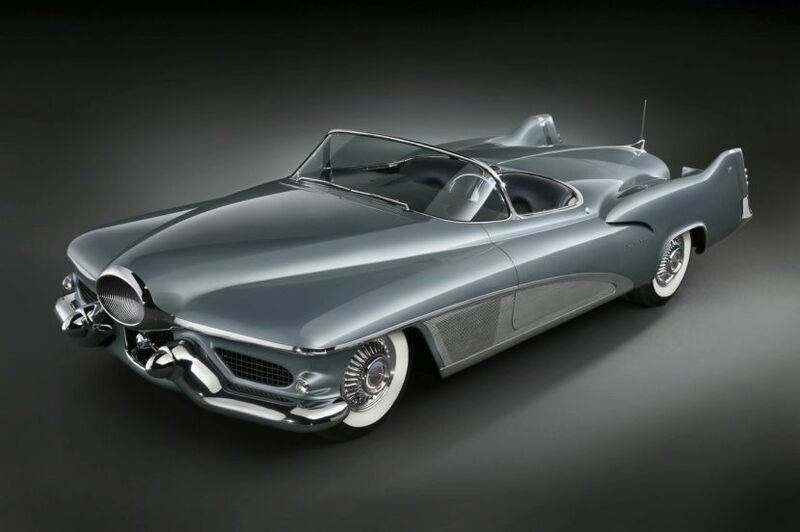 Harley Earl and his designers have made â€‹â€‹it clear to the automotive industry that was selling style, as these details can seem useless if people liked it, they bought. 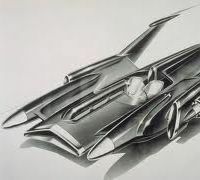 The style has become as important as the mechanics itself and give the total green light to Earl so he experimented as much as possible its concept cars. 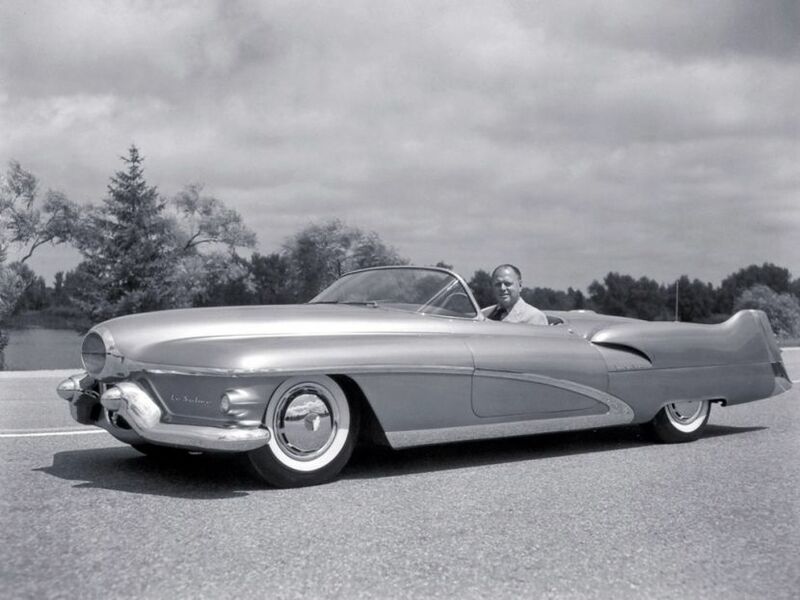 With advertising on the LeSabre and XP-300 Genral Motors managed to materialize his vision of the future, but it was still too impersonal. The "Parade Of Progress" arrived in his final years and General Motors needed a new way to reach the American people. 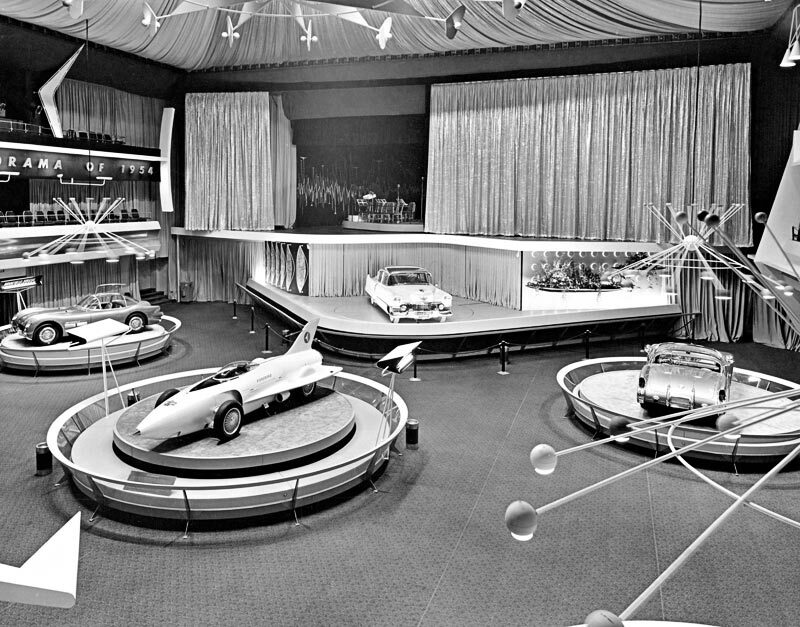 The Motorama had born, fully dedicated to General Motors exhibit, featuring under one roof, all its cars and its technical progress. Obviously, the events are real advertisements in itself and that the GM will agree to Earl to produce more prototypes so that each division is no exception. The idea was not even GM, as the event of the same name already existed since 1950 under the banner of Mr. Petersen, editor of the magazine Hot Rod - Motor Trend - Car Craft. The exhibition showcased cars competition or public interest, motorcycles, boat, motor etc. ... But the event was especially dedicated to Rod and Kustom. At that time, the United States there are few places where one is not interested in the car in order to dedicate to such exposure, California is a pioneer of the "Car Culture" and the people who live there are generally well informed and current trends in the automotive world. The first Motorama, General Motors will place in 1953 in New York history to stimulate the east coast of the country and just in time to present the new Chevrolet Corvette one. The event will be so successful that General Motors will continue to present exhibitions in major American centers. These exposures had the advantage of bringing together all the brands in a major auto show. Presentation of prototypes, futuristic stands for the public is tempted by the new models. The Motorama was not simply an exercise in style. 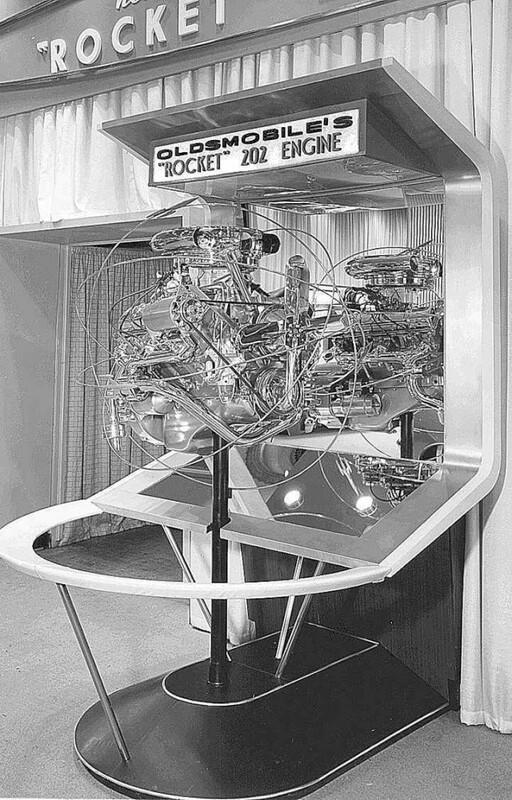 The engineering prowess of the various branches of the brand were also exposed. 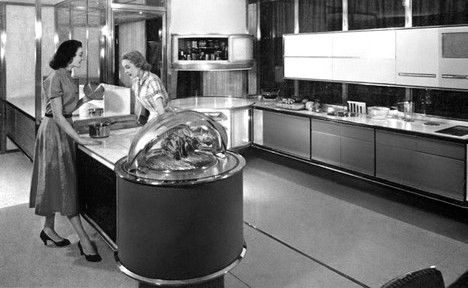 From the kitchen of the future, subsidiaries of GM as Frigidaire and Allison also took advantage of the Motorama to show their expertise. 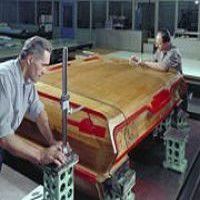 Harley Earl also ensures that the entire presentation of the equipment is made in sets treated as the lines of its automobiles. 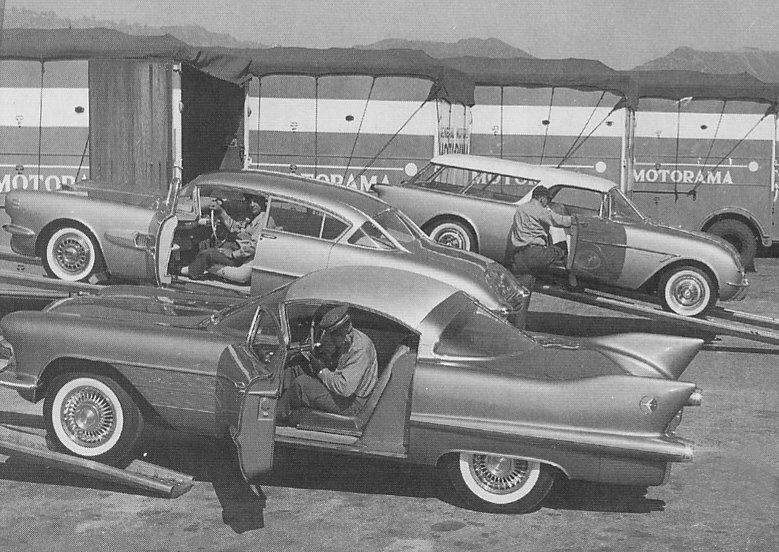 The GM Motorama will continue its exhibition until 1961. Audiences love these shows starring several manufacturers at a time.